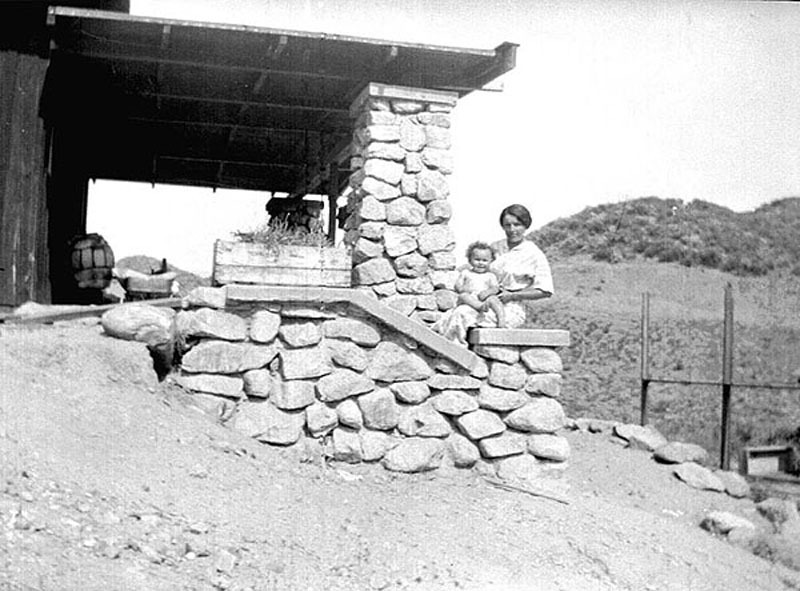 Hortense Walker and her daughter, Irene, pose in front of the old Walker homestead house in Placerita Canyon. According to George Starbuck, who calls this the "Rock Column House," the home was built in about 1909 and burned down around 1918. The Walkers then moved to another cabin on the Walker Ranch, much of which is now the county-run Placerita Canyon State Park property. Photo courtesy of George Starbuck IV, grandson of Hortense Walker and son of Melba Fisher.